myfitnessroad.com — Do you Keto Diet? More and more people are following this trend. If you're struggling to make progress with a conventional eating approach, then the weight-control advantages of 'Keto' could offer a viable solution to your weight-management frustration. My view is that, to be viable, an eating plan should be enjoyable and support your health and fitness goals – while you go about your everyday life. The Keto Diet is just one of several effective and enjoyable eating styles, which you could use with the Sensible Fitness Program. However, it does present some uniquely interesting prospects and challenges. I'll get to my personal experience and recommendations in a bit. First, let's look beneath the surface. A Keto or 'ketogenic' diet is a high-fat, moderate-protein and low/no-carb method of eating. The term 'low carb high fat diet' (LCHF) is also frequently used within the realm of 'keto', as is the 'very low carbohydrate ketogenic diet' (VLCKD). Some population groups, like the Eskimo, have over the years existed almost entirely on ketogenic diets. They continue to live that way. However, it was only during the early 1920's, that highly-civilized and urban societies got to grips with this means of eating – when the medical industry began testing starvation diets and prescribing therapeutic ketogenic diets in the treatment of pediatric epilepsy. But the introduction of anticonvulsant drugs during the late 1930's, saw a decline in the popularity of keto diets. It's popularity has continued to grow since the early 2000's, and especially so in recent years. It's an alternative to the more traditional higher-carb options. Despite its former reputation as a starvation diet, the ketogenic approach allows for a host of benefits, which have in part given the diet credibility and momentum. Today we not only see keto diets as commonplace in the fitness industry, but there are variations which can cater to more specific needs. It's even possible to strategically use 'keto' as part of a non-keto program. Additionally, in light of the world's growing obesity problem, more people are scrambling to find novel and creative ways to lose weight. But unlike hundreds of fad diets out there, the keto diet actually offers real solutions. When you significantly reduce or eliminate carbohydrates from your diet – your body is obliged to find an alternate energy-source. You see, when a diet includes carbohydrates (beyond 15-20% of total calories), this macronutrient will always be utilized as the preferred source of fuel. It happens because carbs are more easily converted into usable energy, than fats or proteins are. However, by taking carbs out of the equation, you force your body into a state of nutritional ketosis. KETOSIS is a condition where, because of the absence of glucose, fat stores are broken down to produce energy – and is associated with the release of 'ketones' – which are organic acid compounds produced by the liver. It should not be confused with 'Ketoacidosis', which is potentially a life-threatening condition predominantly associated with type 1 diabetes. In this way, your body adapts to burning fat as its primary source of fuel, instead of carbohydrates. Along with providing an effective way of burning fat, the biochemical state of ketosis means lower and more consistent blood sugar and insulin levels, which hold some important health benefits. What are the advantages of a Keto diet? Numerous studies and anecdotal evidence show that keto diets are among the best approaches to sustained weight loss – so long as individuals maintain a low enough carb intake and consume sufficient fats and adequate protein. But no, it's not for everyone. And therein lies the simple secret. Sustained fat-burning is possible if you manage to go low-carb and keep your body in ketosis. In this way, the Standard Ketogenic Diet (SKD) is a viable solution for the less active folks. But what about the active types who also want good muscle tone? They'd most likely do better on a CKD or TKD (as cited above) in combination with a sensible fitness program. The keto diet costs more. Pound for pound, carbs are cheaper than the additional fats that go with the keto lifestyle. Recent studies have shown that there are potential long-term benefits for those who follow the ketogenic style of eating, more than were previously found. Favorable body mass indices have been reported, as well as more desirable triglyceride, HDL, LDL and blood glucose levels. Keep in mind that the time taken to get into ketosis varies from person to person. It can range from a couple of hours to a couple of weeks after the elimination of carbohydrates. Okay so there's that 'wobbly' transition phase commonly experienced when you cut carbs to deplete your glycogen stores. I can tell you that on the days I do low-carb, it's r-e-a-l-l-y no fun – especially when exercising. But you see, I never go into a true adapted state of ketosis for very long. This is echoed by those of my clients who have opted to try keto. Again, it's not for everyone. Of the 3 ketone bodies produced by the body, Acetoacetate and Beta-Hydroxybutyrate f﻿unction as energy for the brain and heart, while the third ketone: Acetone – is a broken down organic compound. Assessing your level of ketosis can be a little challenging at first. The cheapest and simplest way, but not necessarily the most accurate (particularly for people who engage in intense physical activity) – is using reagent test strips to assess the amount of excess Aceto Acetate in the urine. Breath acetone analysis devices are also fairly inexpensive and straightforward to use. Keep in mind though that, as with urinanalysis, urinary and blood ketones do not always correlate with one another. Performing a blood test is clearly the most accurate and reliable way for testing ketosis – although not cheap or pleasant. Can you know you're in ketosis without measuring ketones? Becoming more acquainted with your body's reactions, tendencies and signals (all part of the sensible way anyhow), will eventually serve you well on a ketogenic diet. They could ultimately replace the more formal methods mentioned above. Well, if you go about transitioning into ketosis properly and monitor your nutrition, workouts and progress – and do this all consistently, then you will become familiar with 'how' it feels. This is of particular importance if you're following TKD/CKD – since your carb intake should be just enough, so as not to bump you out of ketosis. In other words, you shouldn't feel the 'bloatedness' typically associated with the digestion of starchy meals. 'Listening' to your body's physiological feedback will give you the cues you need. People on long-term ketogenic diets do however report that this characteristic smell does diminish over time. Although I use CKD/TKD on occasion, I don't claim to be an expert or a raving fan. As for 'recomping' (losing fat while building muscle) or outright muscle-gain, I'd probably steer more toward an eating plan which includes carbs. But as mentioned, many long-distance athletes report experiencing optimal levels of metabolic endurance – on a keto plan. So do fitness buffs, bodybuilders and physique contestants during the final weeks of 'cutting' before summer, or for a show. This is where I find keto useful – to edge below 10% body fat. When do I use Keto? I use the TKD once or twice a year before holidays, or leading up to the summer months. This version of the keto diet includes the strategic use of carbs and works great for rapid fat loss towards a particular body fat goal while maintaining lean body mass. Also, I do enjoy the occasional boredom-alleviating change of eating more avos, nuts, cheeses and other fats on keto days. 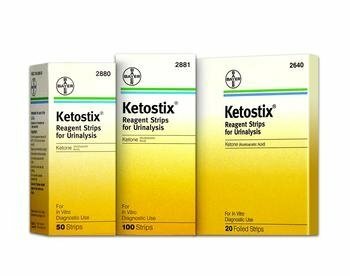 The adaptation phase into ketosis? Not easy. And to stay there while using TKD/CKD and consuming just enough carbs, is also a challenge. Some people report difficulty staying in (or getting back into) ketosis with these methods of keto. Bottom line: I don't do keto for more than a few weeks to a month at a time. Besides all the planning and ensuring availability of the 'right' types of macros – being out of 'nutritional sync' with other household members can be a pain. Especially while trying to also be a family guy. I usually get adapted within 1-3 (unpleasantly lethargic) days. But the feeling of satiety after that is fairly notable – as is the smooth and consistent energy availability. Quite amazing. In terms of my personal fitness requirements, as you know, my workouts (especially my weight-training) are usually high-intensity. With the keto diet, I found that I lacked a little in explosive strength, particularly during my weight workouts. Again, since I usually only use keto for cutting purposes, small strength sacrifices while reducing body fat levels is an acceptable compromise. What do I eat when I'm on Keto? I'm not going into all the meal types and combinations of keto-suited food – since it's not my first-choice way of eating (for reasons already mentioned). Besides, there are several excellent online resources which specialize in the keto lifestyle (see 'further reading and information' below). My aim here is to give you my views and experiences. Before getting to the specifics of what I eat, keep in mind that if you're contemplating a keto diet, to steer clear of carbs (with the exception of leafy green veggies and certain berries). Yes, it means no grains, breads, rice, pasta, most fruit, several vegetables, sugar (especially fructose) and certain artificial sweeteners. Of course, following the TKD (like I occasionally do), means simple carbs would be used strategically around workouts. This is of course different to the CKD, where you would instead consume the more complex type carbs on carb-up days. * The macronutrient ratios for the TKD plan I use, is 12-20-68 (carb-protein-fat). How do I eat when I'm not on Keto? I am fortunately a healthy, able-bodied person with no current intolerances or deficiencies. Added to the fact that I'm a 'sweet tooth' who gets perfectly good results with the more traditional style of eating (inclusive of carbohydrates), I'm glad I don't have to use keto over the long-term. You may have gathered that I'm a big pundit of 'sensible' living while eating 'real' food. Though I do recognize the benefits of keto, and that it works wonders for certain people, I personally prefer more realistic flexibility with my overall approach to nutrition. Consistent dietary-compliance is fundamental to making the keto diet work successfully. Who should follow the Keto diet? In my view, the keto diet favors sedentary to moderately active people with longstanding weight problems if, they're willing to deal with the side-effects of the adaptation phase, and can maintain ketosis. And, if they can deal with the likely sense of deprivation from cutting carbs, which could lead to binge eating. On the other hand, if you're diabetic or have other related metabolic issues, or simply enjoy rich and fatty foods – than keto might just be a perfect fit for you. It's down to personal choice. In light of the pros and cons cited above, several marathoners report very favorable experiences in using the keto approach. On the contrary, there is more support for traditional carb-inclusive diets for those engaged in high-intensity sport and exercise. If you've tried other diets unsuccessfully, or looking for a change, I'd recommend you give the keto diet a try. Please familiarize yourself with all the pros and cons of the Keto diet before diving in. The sections on 'further reading' and 'references' below, provide access to a lot of in-depth information and research findings. You'll note that the benefits and efficacy of the ketogenic diet, as reported and documented by medical experts in the health industry, as well as anecdotal evidence by champions in the health and fitness industries – are not without risk or controversy. There remain several conflicting views, and so it's overwhelmingly clear that further research is still needed. Most importantly – get medical advice, especially if you're planning on doing keto over the long term. You don't want any undue risks, particularly if your blood work and general condition are unsuitable. Remember, MyFitnessRoad.com's goal is to show you – Mr/Ms Everyday (who I like to call 'Al') – how to live a life which contains all aspects of fitness: body, mind and soul – ﻿the sensible way﻿. This means that your nutrition plan should support your fitness goals, keep you in good health and of course provide eating pleasure – regardless of whether that's low carb or high carb, or anything in between. Keto is but one of many ways. Most of all, don't think of the sensible way as a 'diet.' (I hate that word. See why here.) Think of it instead, as a flexible eating plan for life – not something you follow for a few months before reverting to your previous ways. As I always preach, if you're organized and consistent in your eating and working out – you can achieve your fitness goals on almost ANY type of nutritional plan. Natural health physician Dr. Joseph Mercola interviews Dr. Thomas Seyfried about controlling cancer using metabolic therapy and a ketogenic diet. Peter Attia, M.D. talks about his personal journey of nutritional discovery and self-experimentation. Two of the industry's leading authorities reveal some very interesting information about the ketogenic diet. Lin Thio, MD, PhD (Assistant Professor of Neurology at Washington University School of Medicine and an epileptologist in the Pediatric Epilepsy Center at St. Louis Children's Hospital), discusses the keto diet in treating epilepsy. An 'Exercise and Sport Sciences Review' from Medscape on whether the ketogenic diet has a useful role in sports. Ellen Davis, Master's degree in Applied Clinical Nutrition, shares her experiences and what she's learned about ketogenic diets. Website providing quality information, articles and recipes in the keto diet for health, fitness, nutrition, and wellness. A worthwhile and interesting New York Times article by Gretchen Reynolds. NOTE: This web page is not a substitute for medical, nutritional or dietary expertise, but rather intended as general informational advice. The information provided, should not substitute consultation with qualified medical professionals for specialized advice on specific cases. If you are considering a fitness and/or weight reduction program, you are best advised to consult your physician before making any personal dietary changes, taking into account your personal medical history, current situation, and future health risks and concerns.